Keeping law enforcement on the level. Let’s go to the videotape … or not. Video is supposed to be the “great equalizer”: evidence that doesn’t lie — particularly in the case of chronicling law enforcement events. 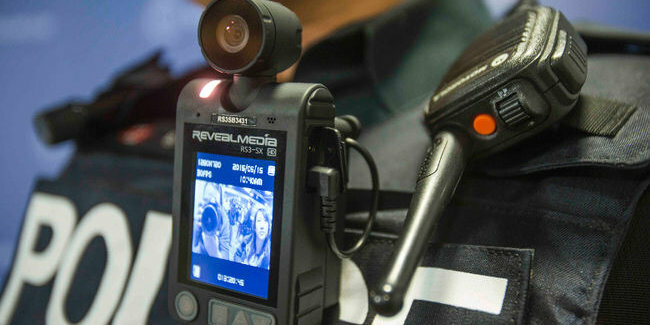 From New York City and Chicago to Baltimore, Charleston, SC and dozens of places in between, there have been a number of “high profile” police incidents in recent years where mobile video has made it possible to go beyond the sometimes-contradictory “he said/she said” statements coming from officers and citizens. There’s no question that it’s resulted in some disciplinary or court outcomes that may well have turned out differently in times before. In response, numerous police departments have responded in a way best described as, “If you can’t beat them, join them.” They’ve begun outfitting their law enforcement personnel with police body cams. The idea is that having a “third party” digital witness on the scene will protect both the perpetrator and the officer when assessments need to be made about conflicting accounts of what actually happened. This tidy solution seems to be running into a problem, however. Some security experts are calling into question the ability of body cameras to provide reliable evidence – and it isn’t because of substandard quality in the video footage being captured. Recently, specialists at the security firm Nuix examined five major brands of security cameras … and have determined that all of them are vulnerable to hacking. The body cam suppliers in question are CEESC, Digital Ally, Fire Cam, Patrol Eyes, and VIEVU. The cameras are described by Nuix as “full-feature computers walking around on your chest,” and as such, require the same degree of security mechanisms that any other digital device operating in security-critical areas would need to possess. But here’s the catch: None of the body cameras evaluated featured digital signatures on the uploaded footage. This means that there would be no way to confirm whether any of the video evidence might have been tampered with. In other words, a skilled technician with nefarious intent could download, edit and re-upload content – all while avoiding giving any sort of indication that it had been revised. These hackers could be operating on the outside … or they could be rogue officers inside a law enforcement department. Another flaw uncovered by Nuix is that malware can infect the cameras in the form of malicious computer code being disguised as software updates – updates that the cameras are programmed to accept without any additional verification. Even worse, once a hacker successfully breached a camera device, he or she could easily gain access to the wider police network, thereby causing a problem that goes much further than a single camera or a single police officer. Thankfully, Nuix is a “good guy” rather than a “bad actor” in its experimentation. The company is already working with several of the body cam manufacturers to remedy the problems uncovered by its evaluation, so as to improve the ability of the cameras to repel hacking attempts. But the more fundamental issue that’s raised is this: What other types of security vulnerabilities are out there that haven’t been detected yet? It doesn’t exactly reinforce our faith in technology to ensure fairer, more honest and more transparent law enforcement activities. If video footage can’t be considered verified proof that an event happened or didn’t happen, have we just returned to Square One again, with people pointing fingers in both directions but with even lower levels of trust?